The math is simple: burn more calories than you eat. This is the basic rule of weight loss. To do this, you will have to count your calories. With regards to food and nutrition, calories represent the energy values present in food. When you check the nutrition information on any food label, it breaks down the number of calories you can get for each nutrient present in a single serving. It also gives the total number of calories for all these nutrients in a single serving. When you eat, these calories are converted by your body into energy, hence the phrase, “burning calories.” How many calories you burn per day is determined by your level of activity. The more active you are, the more calories you burn. Weight gain happens when you eat more calories than your body uses to sustain your daily activities. The excess calories are stored by the body as fats. So if you want to lose weight, you have to do one of two things: burn more calories than you consume by being more active; or eat less calories. This is where counting calories comes in. When your body burns more calories than it consumes, or when you eat less calories, you create a caloric deficit. A caloric deficit occurs when the calories consumed are insufficient for the maintenance of your current body weight, because caloric intake has been reduced or more calories are being used without a corresponding increase in caloric intake. When there is a caloric deficit, the body taps into its calorie stores – in the form of fats – to use as energy. This is when weight loss occurs. As long as this caloric deficit is maintained, then weight loss is also maintained. And in order to do this, you have to determine the average amount of calories you should consume that will create a caloric deficit and promote weight loss (ideally, with the help of a nutrition expert or a weight-loss calorie goal calculator app) and then start counting your calories. 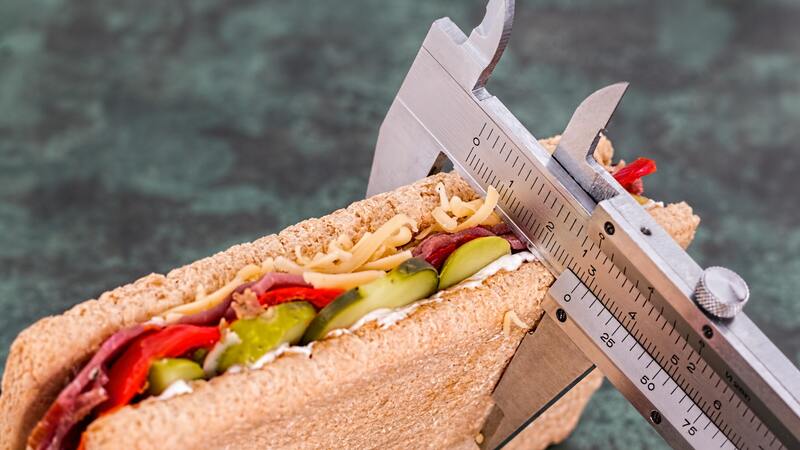 Your required daily calorie allowance to lose weight and sustain weight loss will depend on a variety of factors, including your gender, age, daily activity level, height, current weight, and target weight. Most experts, for example, recommend an average intake of 1,500 calories a day for women who want to lose weight. Counting calories can be as easy as just checking the nutrition information on food labels; or looking up the calorie content of ingredients and foods online. Using this information, you can create a daily meal plan that will meet your specific calorie requirements for weight loss. However, you also have to consider if your chosen calories are empty calories or healthy calories. Empty calories come from foods that have little nutritional value, and are mostly made up of sugars and solid fats. Refined carbohydrates such as white rice and white bread, which are made up of mostly sugar, are good examples of empty calorie sources. They do not provide the body with the nutrients it needs, and they only offer excess calories that make you gain weight. Healthy calories, on the other hand, come from foods that have a high nutritional value. With the body’s nutritional needs met and with little to no excess calories to store as fats, you won’t put on unwanted pounds. When counting calories for weight loss, it is just as important to fill your plate with healthy options. Energy from calories is not the only thing your body needs to function well, after all. Essential nutrients are named as such because they are essential to overall health. Again, the goal of counting calories to promote weight loss is to create a caloric deficit. You can count calories to limit your caloric intake – or, in other words, you go on a diet – so that you’re consuming less than what your body needs. Or you can combine counting calories with an increase in physical activity. Just going on a calorie-counting diet will eventually lead to a weight loss plateau, however. The caloric deficit will initially work in burning your calorie stores. But eventually, your metabolism will adjust and slow down as your body recognizes that there are fewer calories being consumed. Your weight loss will also slow down until it reaches a plateau, wherein you get stuck on a certain weight because the calories you burn equals the calories you consume. The only way to continue your weight loss is to further reduce your calorie consumption. But this pattern can quickly become an unhealthy one and pose serious health risks. The ideal strategy for sustained, healthy weight loss is counting calories combined with exercise. Exercise will help keep your metabolism up so that you’ll keep burning more calories than you consume. And there is the added benefit of having a toned and stronger body. Counting calories is still among the most effective approach to weight loss because it draws on one of the body’s fundamental mechanisms, i.e. calorie consumption versus calorie loss. Increasing physical activity and choosing healthy calorie sources also count a lot towards achieving your weight-loss goals.